The hatchback market in India has always been a popular one, especially among the middle class people, who form a large section of the crowd. Volkswagen Polo GT is one of the popular hatchbacks in the country. There are lots of Volkswagen Polo GT variants to choose from that offer different sets of features and are available at different prices. There are updates on the front and the rear which might not look much, but they do freshen up the appeal. The original car was already a fine looking car, and the light chrome strip on the front adds more style.The rear view mirrors now come in completely deep black colour along with the rear spoiler. Again this sounds like a tiny detail, but adds more purpose to the whole idea of the GT. The front grille and the rear tailgate sport a GT badge on them with GT TSI decals on the rear panels. The rear remains plain and subtle with a hint of red reflectors at the bottom of the rear bumper. The overall design of the Polo still stays fresh in the entire category. It would have been preferred if Volkswagen gave the GT some more style tweaks for this new one. It just looks too much like the regular Polo range. Not that the range’s styling has any issues, but an enthusiast shelling out extra for the GT would have liked more to add to its exclusivity. Immaculate, plain and simple are the words used to define the cabin of the GT TSI. Everything is very easy to understand and placed very conveniently for use. The update has given the dashboard lots of piano black inserts around along with the flat-bottomed steering getting blacker as well.The quality and the fit-an-finish would put many premium saloons to shame, except for the headlight levelling roller which feels a bit cheap. The fine leather finish on the steering wheel, gear knob and hand brake lever is absolutely brilliant to hold. Every feature is present here, automatic climate control, 4-speaker audio system with USB/AUX/SD card/Bluetooth telephony and multi function driver display. Volkswagen Polo GT specifications are well looked after as far as the engine under the hood is concerned, with the hatch featuring a 1.2-litre TSI engine for the petrol trim and 1.5-litre TDI engine for the diesel. The petrol motor is mated to a 7-speed DSG transmission system, whereas the diesel engine works in sync with a 5-speed manual gearbox. Volkswagen Polo GT generates some really good figures, carving away 105 PS power at 5000 rpm and 175 Nm torque for the petrol trim. The diesel trim churns out the same power but 250 Nm torque at 1500 to 2500 rpm.Volkswagen Polo GT mileage is around 16.47 kmpl, which is ARAI certified and should keep most customers happy, though for daily commuters, the number may be a little low. Again, the fun to drive nature of the Polo GT TSI shines when you introduce it to tight corners and snaking ribbons of asphalt. The sorted chassis is setup for quick slaloms and precise handling. You will be amazed by the eagerness it attacks corners. The steering wheel has nice weight on it and feels very satisfying throwing it around fast corners.To our surprise, the stock tyres performed very well. The superior braking and satisfactory grip of the tyres ensure you stop exactly where you intent to. Swapping with stickier rubber on the GT TSI will allow you to carry even more speed through corners and find that extra second on lap-times. And it is not just sporty driving where this VW shines. There are plenty of Volkswagen Polo GT features in the safety section that ensure that customers rely upon the prowess of the hatch. Some of the safety features offered by the hatch include height-adjustable head restraints, 3-point seat belts, emergency exit, high mounted stop lamp, etc. For the braking system, Volkswagen Polo GT gets ABS along with disc brakes for the front wheel and drum brakes for the rear. Volkswagen Polo Gt On-Road Price in Chennai ranges from 10,19,515 to 10,33,010 for variants Polo GT TSI and Polo GT TDI respectively. Volkswagen Polo Gt is available in 2 variants and 5 colours. Below are details of Volkswagen Polo Gt variants price in Chennai. 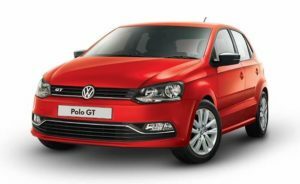 Check for Polo GT price in Chennai at Autozhop. One short drive and the GT TSI will completely win your heart. It delivers class leading performance and technology which is light years ahead of it competition. This little hatchback is extremely lively to drive, is relaxing when you want it to and stays decent when you visit the petrol station. We would presume customers will not really be worried by its higher price-tag, but what surely bothers all of them is the service and maintenance setup of Volkswagen.The spares are expensive and service quality perceived is not yet up to the mark. But it pains to see such a fantastic product suffer because of the after sales issues. If Volkswagen can get us one of the best engine and transmission technologies, we are sure they can work out an even better service support in the nation. As for the car, it stands unhinged as one of the very best cars on Indian soil.